Despite the large number of publications, there is still controversy among clinicians regarding the application of dental lasers to the treatment of chronic periodontitis. The purpose of this review is to analyze the peer-reviewed research literature to determine the state of the science concerning the application of lasers to common oral soft tissue problems, root surface detoxification, and the treatment of chronic periodontitis. Based on Albert Einstein’s theory of spontaneous and stimulated emission of radiation, Maiman developed the first laser prototype in 1960.1 Maiman’s device used a crystal medium of ruby that emitted a coherent radiant light from the crystal when stimulated by energy. Thus, the ruby laser was created. Shortly thereafter, in 1961, Snitzer published the prototype for the Nd:YAG laser. The first application of a laser to dental tissue was reported by Goldman et al. and Stern and Sognnaes, each article describing the effects of the ruby laser on enamel and dentin. 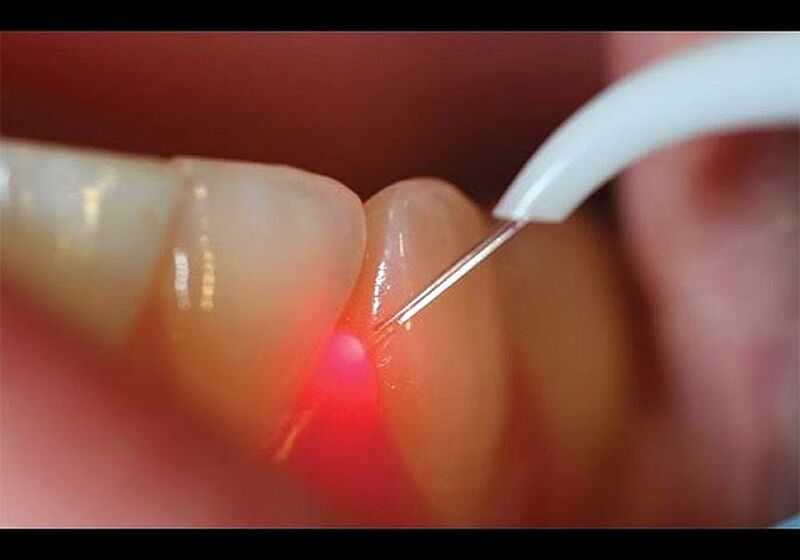 However, the current relationship of dentistry with the laser takes its origins from an article published in 1985 by Myers and Myers5 describing the in vivo removal of dental caries using a modified ophthalmic Nd:YAG laser.